Magnetic: Cage Closed is ranked in the 18th percentile of games scored on OpenCritic. The many unique twists of Magnetic: Cage Closed do so much to set it apart from the other first person physics puzzlers that have tried to dethrone the genre mainstay. Its carefully constructed puzzles, accompanied by clever world building, make it intriguing and sophisticated, but never to the point of pretention. Magnetic: Cage Closed's multiple story branches and wildly chaotic magnetic gameplay certainly sets it apart from others in the genre. All of the puzzles follow a similar structure which can become a little repetitive, but there are occasionally some decent challenges to help keep players interested. There are a couple of gripes towards the games mechanics but the charming writing style and 9 endings give it a great depth. Magnetic: Cage Closed isn't an amazing game but it isn't terrible either. It's a decent puzzler which fans of the genre should enjoy and is a good puzzler for the Xbox One. If you love these types of games, I would say go for it, but for those who aren't, it's nothing really that you need to check out. Magnetic steps just enough outside of Portal's shadow. It's hard to replicate Portal's success, and in the process of following a very similar narrative to that which can be found at Aperture, Magnetic: Cage Closed loses its way on more than one occasion. Thankfully, the magnet gun is fun to use, and most of the puzzles are smartly crafted with a great sense of accomplishment, pacing and difficulty. If you're only lukewarm on first-person puzzlers and need agripping story, better options exist, but if you enjoy the genre and can get over the short length, this is an easy recommendation. [I]t's more like Cube Zero than Cube: it's fun if you like that sort of thing, but if this was all you saw you wouldn't be that interested. Enjoyable and challenging for the first playthrough; yet suffers terribly when trying to explore the branching storyline. You don't have to think outside the box to solve Magnetic: Cage Closed's puzzles, but there are a few head-scratchers. Puzzlers exist in an interesting genre. From Tetris to Bookworm to Angry Birds to The Talos Principle, they all add unique dashes of panache to the classic game type. Portal made a seismic impact onto the puzzle platformer subgroup, proving that teasing the mind's critical thinking quality could be just as commercially viable as the usual "action" release. Magnetic stands as one of the more blatant attempts at recapturing that magic, even down to story lines. I don't necessarily dislike the basic idea here, nor do I think it's exponentially inferior to Portal's gimmick. Electromagnetism is one of the four forces of nature, and the magnetic field could play host to a great number of interesting gameplay possibilities. The problem is that the puzzles don't consistently deliver the complexity needed for them to be considered challenging. After completing the first several events and learning all the tools of the trade, identifying the test elements and stringing together the solution in one's head takes just a minute or two. Primarily, the challenge comes from simply executing the steps, being careful not to fall and get burned, hacked, or gassed to death. Magnetic works best as a platformer, which may be disappointing for those who wanted intermediate to advanced puzzling. For those wanting to try to fill a Portal-shaped hole in their gaming lives, Magnetic: Cage Closed might be a passable quick fix, but that's it. 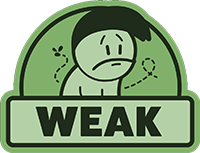 Ultimately the game doesn't do enough to establish its own identity and as a result, it feels like a rushed, cheap knock-off. All in all, the game is a novel way to pass an afternoon but is unlikely to have you clamouring for more. Magnetic has potential, but fails to reach it due to how hard it tries to be Portal. If it had tried to focus ion its own gameplay and kept it as pure as Portal, they might have had something special. As of now, it exists, and that's all that can really be said about it. 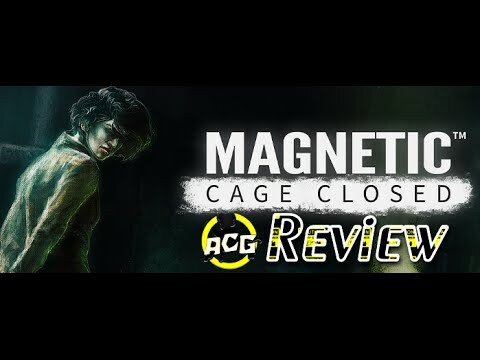 Magnetic: Cage Closed's reliance on imprecise platforming and nondescript storytelling makes the game's prison setting an unintended and accurate metaphor.